A quarter of mid-sized UK companies are considering bringing offshore operational activities back to the UK in the next three years, with London becoming the favoured onshore location. Research from Warwick Business School found that the trend could see an extra 126,000 UK jobs created every year. According to the research, the top five considerations that are driving mid-sized business to bring work back to the UK are management or control issues, advantageous business culture, productivity, rising operational costs overseas and access to skilled labour. 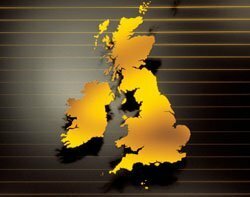 The study found the top destination for mid-market firms' reshoring efforts is Greater London, with 41% of the mid-market firms that are considering relocating some of their business activity based in London. Overall, 35% of mid-market businesses expect activity to move to London. Other regions most likely to benefit from reshoring are the south-east (17%) the West Midlands, (13%) the north-west, (11%) and Yorkshire & Humber (10%). “Historically, reshoring activity has focused on regions outside London, yet our research indicates that mid-market firms see the value of being active in the capital, despite the high costs associated with doing business here,” said Stephen Roper, a professor at Warwick Business School. “This suggests that rather than acting as an agent for rebalancing the regions, reshoring may exacerbate the growing disparity between the London economy and the rest of the UK,” he added. Prime minister David Cameron told an audience at the World Economic Forum in Davos earlier this year that he wants British companies to bring offshored jobs back to the UK. “In recent years, there has been a practice of offshoring, where companies move production facilities to low-cost countries. We’ve all seen it. We all know it’s true. And it will continue,” Cameron told the forum. “But there is now an opportunity for the reverse – there is now an opportunity for some of those jobs to come back,” he said. While business activities move back onshore, there is strong evidence that IT offshoring remains a major trend. In 2012, research from The Hackett Group found businesses in Europe and the US planned to transfer about 750,000 jobs, including IT, to lower-cost locations over the next four years, taking the total number of jobs offshored to 2.3 million by 2016. According to management consultancy AT Kearney, India is the best place for businesses to outsource services and is unrivalled in its scale and availability of skills. In its latest index, which ranks business services locations, AT Kearney said Asian countries dominate the index of the top 50 global locations, with six of the top 10 in the region.